Hearing is one of the most neglected aspects of general health. While many people routinely visit their dentist, optometrist and general practitioner, those experiencing ear and hearing-related concerns often dismiss the issues and delay appropriate screening. Hearing difficulties can affect people of any age, and more than 5% of the world’s population currently has some degree of hearing loss. Among teens and young people, hearing loss has increased 30% in the past 20 years, mostly due to greater use of earphones and longer exposure to loud music. By 2050, it’s estimated that one out of 10 people will experience hearing loss. In general, hearing loss is caused by repeated exposure to any sound that is more than 85 decibels. This can include music and noisy work environments. Certain medications, including those for diabetes and cancer, can also cause hearing loss. To reduce your risk, ensure that you wear earplugs or other hearing protection while working in loud environments, and limit your music listening to 60 minutes a day at 60% volume with earphones. If you experience any of these symptoms, see your GP, an audiologist, or an ear, nose and throat specialist as soon as possible. Proper and timely hearing tests can detect even minor hearing concerns and prevent further damage. Since hearing damage can’t be reversed, catching potential issues at an early stage is crucial. Generally, patients with advanced, untreated hearing loss struggle with everyday tasks such as talking on the phone or having a conversation in a restaurant, and this can lead to withdrawal, isolation and loneliness. Problems with the ear may also dull one’s awareness of their surroundings and lead to an increased risk of falls, which is of particular concern in the older population. 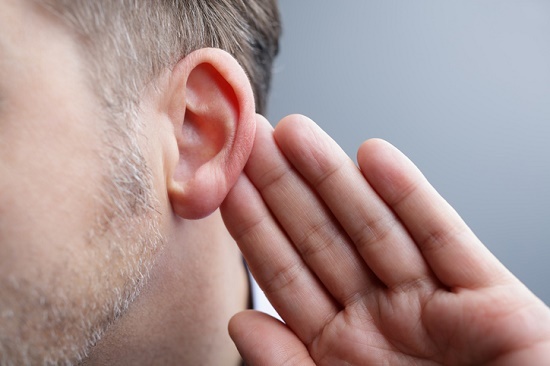 Studies have also suggested a correlation between hearing loss and an increased risk of both dementia and cardiovascular disease, and patients with diabetes are twice as likely to also have hearing difficulties. For patients already struggling with these conditions, addressing ear health issues can have a positive impact on overall health. With proper treatment, those experiencing hearing difficulties can live the fullest life possible, engaging in social situations without fear or embarrassment. Some people may be afraid to use hearing aids for cosmetic reasons. Fortunately, today’s hearing aids are very tiny and tend to blend in with the rest of the ear, virtually eliminating any worries about appearance. As the risks of noise-induced hearing loss increase, it’s recommended that people have a baseline hearing test completed at the age of 21. From there, experts suggest having at least one hearing test every 10 years. After age 50, patients should be screened every three years. Free hearing tests in Melbourne are available for adults of all ages. Free hearing tests in Melbourne take about an hour to complete and are completely painless. Both of your ears will be visually inspected using a small instrument called an otoscope. This assessment helps to identify any built-up earwax, growths and other blockages that may need treatment. You will also listen to a series of sounds through special headphones. These examinations will enable the hearing specialist to detect any areas of concern and create a personalised treatment plan for your needs.